On the weekend I took my seven and ten year old girls to their first ever music festival. 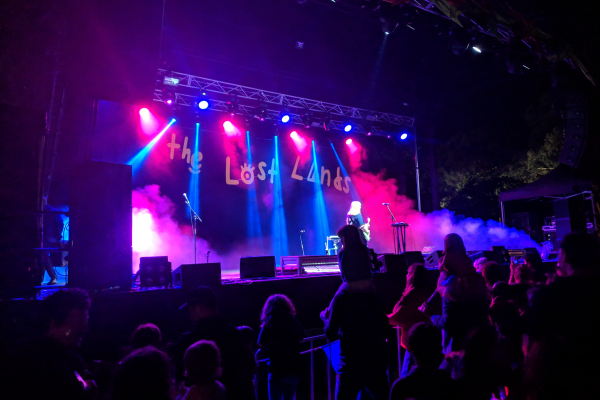 Now, anyone who has regularly attended music festivals such as (the now defunct) Big Day Out, Falls Festival or even more adult orientated events such as A Day on the Green may question whether taking children to a music festival is such a good idea. Mainly because when adults attend music festivals, most of them or many of them end up acting like kids…and when I say this I mean it in the worst possible way. At their worst, kids act selfishly and without any real sense of responsibility. They lack the awareness to understand what’s going on around them and fail to acknowledge the impact their actions are having on those around them. Fuelled by music, alcohol (and other illicit substances) and without social norms of their day-to-day environment to constrain them. This is how many adults behave at music festivals. But this was a very different type of music festival. 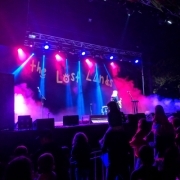 Created by the founder of Falls Festival, The Lost Lands has been built from the ground up as a festival for families. There were still big name music acts but these were interspersed with performances and other activities for kids. There were comedy shows, acrobatic performances, dance classes, a movie night and even a giant ferris wheel. 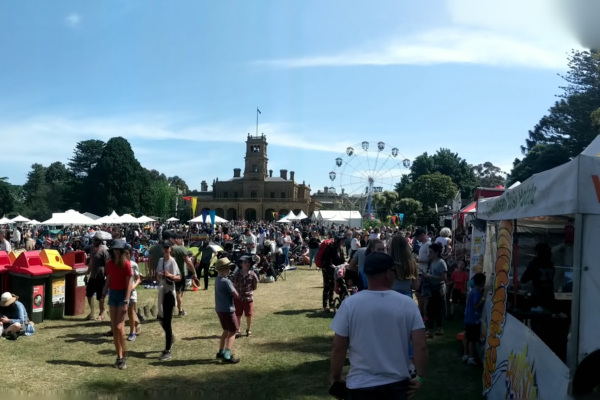 Not only did the festival create an incredibly safe space for children, it also encouraged many of the adults to act more like kids…and this time I mean it in the best way possible. At their best, kids are caring, trusting and generous. They aren’t hampered by cynicism or past baggage. Instead, they are filled with wonder, open to learning and want to explore and try new things. And this was how I saw every single adult behaving at The Lost Lands. They spent their time moving between the acts that they already knew about and the performances that interested their children. They tested their skills on games made out of old bicycle parts, got their face painted. At the same time the adults acted more like adults than at an 18+ event: they were thoughtful, helpful and incredibly respectful of giving others around them, especially children, space to dance and enjoy themselves. There is a quote by Dennis Bakke that goes “If you treat people like adults they will act like adults, but if you treat them like children they will act like children.” But what if you want them to act like both? What if you want adults to act with the maturity of adults but with the openness and wonder of children? And at this point we’re going to segue to from how organisers plan music festivals to how organisations approach technology (I’m approaching this from the perspective of technology change because that’s what I do, but I think this analogy is relevant to many facets of organisational life). The traditional approach to IT was to treat people like children…and when I say this I mean it in the worst possible way. They weren’t to be trusted, couldn’t make decisions for themselves and just needed to do what they were told and eat whatever was put in front of them. Of course they generally just pushed their technology around the plate with a fork, they became stubborn about trying new things even if it was ‘good for them’. Some rebelled, started sneakily using new technology without asking permission, or if things got really bad they chucked a tantrum and left the organisation. Treating them like kids got them to act like kids at their worst. But what if we could get people to act like kids at their best? To be inquisitive about new technology and new ideas, to play and explore, to share and collaborate with their friends in a thoughtful, caring and respectful way? How could we get our end users to see the wonder and get genuinely excited about technological change and create a culture that celebrates learning and growth? 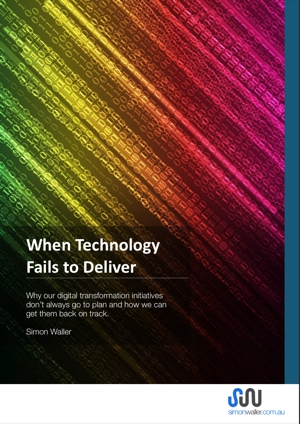 Much has been written about the difference between the leading and the laggard organisations when it comes to technology. But I believe even these organisations could learn something from The Lost Lands. And although the following list is not exhaustive, it provides some ideas as to how we can encourage people to better understand the role technology plays in our work and our lives by getting lost in the wonder of technology for a while. Make it fun – If technology always involves change, effort or more work then it will always be challenging to get engagement. Provide enough time – People are busy. We need to give the gift of time if we want people to explore new ideas and understand their application. Provide a safe space – We don’t need to celebrate failure so much as acknowledging that failure is a necessary part of innovation. If we want people to innovate we need to provide a safe space, away from customer and client facing work, to test and potentially fail in. Give guidance – Make sure there are always people around who can provide encouragement, direction, advice and support. Limit the rules – Not only do rules limit everyone to the standard set by the lowest common denominator, they imply a lack of trust and discourage a critical understanding of positive and negative behaviours. Encourage diversity (in everything) – A diversity of technology, people and ideas means that you will be be exposed to new ideas, just by standing still.